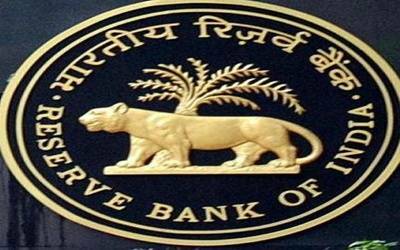 New Delhi, April 5 (IANS) The RBI is likely to adopt a more accommodative approach towards resolution of stressed assets when it issues a revised circular sometime in the next few days, against the February 12 circular quashed by the Supreme Court. Sources said the major contention in the controversial February 12, 2018, circular that got challenged in the court leading to its quashing, will be done away with in the new circular. Instead, banks will be given more time to identify and qualify an account as bad debt and also be given more time to resolve the same. Further, under the new norms, lenders can decide on the resolution if 66 per cent of the lenders agree to take this recourse. This is similar to the adoption of a resolution under IBC where 66 per cent of votes is required. The revised circular on NPAs is unlikely to include the pre-IBC restructuring tools like Strategic Debt Restructuring (SDR), Corporate Debt Restructuring (CDR), Sustainable Structuring of Stressed Assets or S4A. In the previous circular the RBI had withdrawn all existing debt restructuring schemes — S4A, CDR, JLF, and SDR — and asked banks to draw resolution plans for all assets where the banking sector’s exposure was more than Rs 2,000 crore. On Tuesday, RBI Governor Shaktikanta Das said that the recent Supreme Court ruling did not take away the powers of the central bank, nor would it impact the major default cases undergoing insolvency proceedings. "We will soon get the revised circular. There will not be any undue delay in that," Das said. On whether the recent instances of the RBI being taken to the court have impacted its actions, Das said: "It’s always the democratic right of any person, individual or corporate entity to challenge the decision of any authority in the court of law. The RBI cannot be an exception to this."